The mobile phone industry has long used the promise of better future to sell its wares. 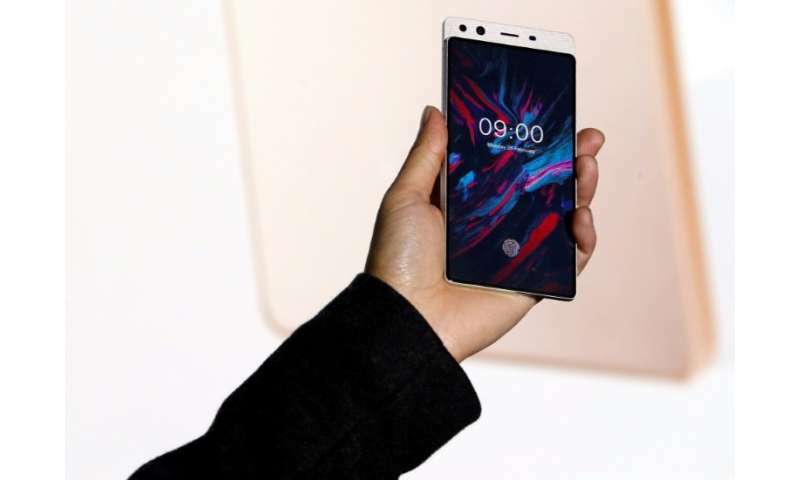 With "near-religious" fervour, mobile phone industry players gathered this week at their annual trade fair in Barcelona are vaunting their positive impact on the world even if they are also timidly starting to address fears over the dark side of new technology. So it is that a moderator at the Mobile World Congress (MWC) in the Spanish seaside city exclaimed: "We have 18 minutes to change the world so let's get to it." In the congress hall, giant screens broadcast slogan after slogan touching on this year's theme—"Creating a better future"—accompanied by dramatic music. "We're either asleep or connected," read one slogan, part of an onslaught of PR tinted with messianism—a term defined as "the belief in a leader, cause, or ideology as a saviour or deliverer." At the grand presentation, orators strolled on stage in casual clothes against a black backdrop to cheers from the audience—a classic in the sector inspired by famous speeches by Apple founder Steve Jobs. Dey said Jobs's "keynotes" have been likened to a religious high mass—an example of "emotional marketing that calls on our deepest feelings to develop a feeling of attachment to the brand." French philosopher Jean-Michel Besnier said the fact that "telephone vendors invoke religion is not very surprising, because religion is what binds people beyond time and space." The theme of this year's Mobile World Congress trade fair is "Creating a Better Future". "It may be a surprise to you at this event to be hearing this short talk from a philosopher but it is precisely as we develop new technologies that we need considerable debate," added Paula Boddington, a researcher at Oxford University.